Every now and again, it’s important to broaden your horizons and pick up a comic book. And when that time comes, I hope I’m one of the few, the happy few, the band of brothers from whom you’ll accept comics recommendations. If you’re in the shop and looking for a comic to read, here is a short list to take with you so you know exactly what to check out. The first book I’m going to recommend is Scott Snyder’s Batman. Starting with issue No. 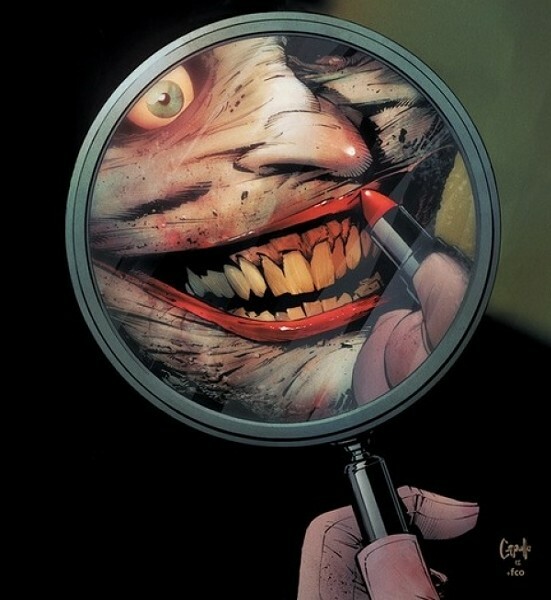 13, he’s bringing back The Joker, and his run leading up to that point has been nothing short of fantastic so far. But I’m an unabashed Batman nerd, so if you want something well-written by a guy like Snyder, check out his Vertigo book American Vampire. It’s a unique, frightening and epic take on vampires in the western world. If you’re in the mood for Marvel comics, I’d add Matt Fraction’s Fantastic Four and FF to your hold. I have no guarantee that it’s going to be awesome, but with Mark Bagley drawing Fantastic Four and Mike Allred drawing FF (an offshoot of Fantastic Four starring She-Hulk and Ant-Man, among others), you’re going to, at the very least, have fun. The best part is that neither of these series has started yet, so you can jump in on the ground floor. For those looking for a taste of comics and the movies, I would suggest jumping onto the upcoming Star Wars comic that the critically acclaimed Brian Wood will be writing. This is the Star Wars comic for those who don’t want any baggage from the expanded universe in any way. It’s set in the hours after the end of the original film, and you won’t need to know anything beyond that. The bridge between A New Hope and The Empire Strikes Back is one that hasn’t been crossed much at all, so it will be fascinating to see how they come together. If you’re too cool for superheroes and Star Wars, then you might want to check out Eric Powell’s ongoing The Goon. It’s a tongue-in-cheek noir that often pokes fun at everything the big comics publishers are doing, but it’s hilarious and well-drawn in its own right. The Goon and his sidekick, Franky, fight just about everything from zombies and mobsters to hillbillies and giant squid, and as they do it, you’ll always have a smile on your face. If you’re a fan of black & white Japanese cinema, you’ll definitely need to check out the work of Stan Sakai. Currently, he’s doing a retelling of the 47 Ronin story, set to be released in November. While he works on that, he’s on a break from his regular ongoing book, Usagi Yojimbo, which stars the wandering rabbit samurai you might recognize from the old Teenage Mutant Ninja Turtles cartoons. Every issue is a miniature Kurosawa film—and since it’s on hiatus until next year, now is the perfect time to catch up. If there isn’t anything on this list to your taste, ask your fine purveyor of comics what they think you’d like. They’ll ask you a few questions and be able to gauge your taste much better than I can. Most importantly, branch out. Check out something you didn’t think you’d like. Those books always seem to be the best surprises for me.